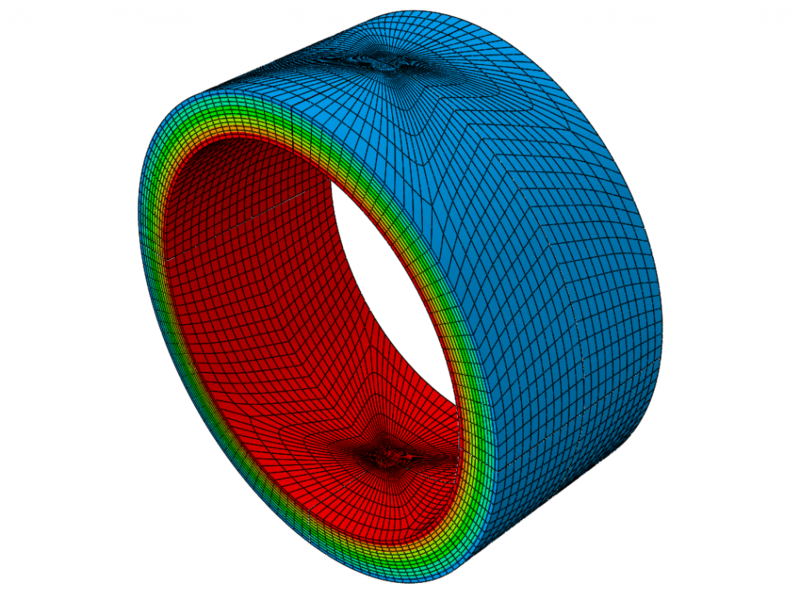 A PP material producer needed the assessment of the damage tolerance of a PP pipe with applied internal pressure. He was particularly interested in the time dependent stress state at an imperfection. 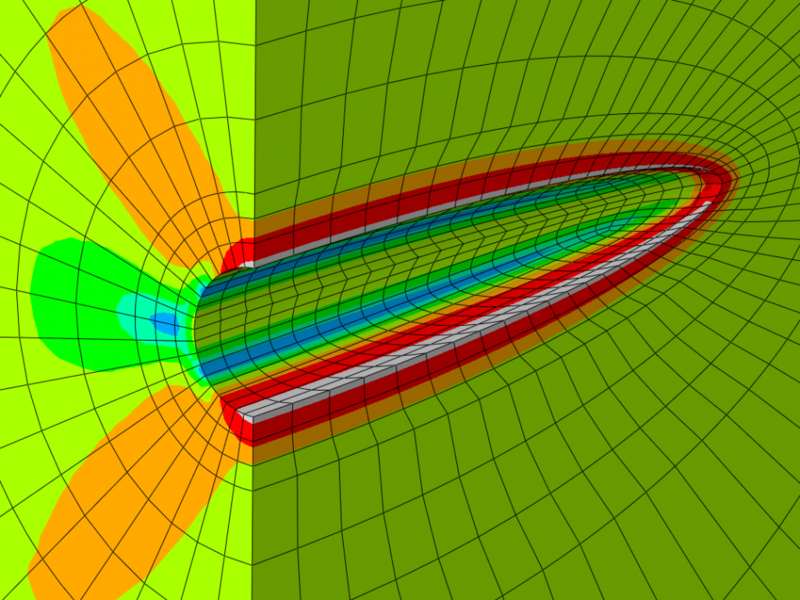 We created a geometric 3D model of a pipe section with an imperfection specified by the material producer and computed a load case with internal pressure. 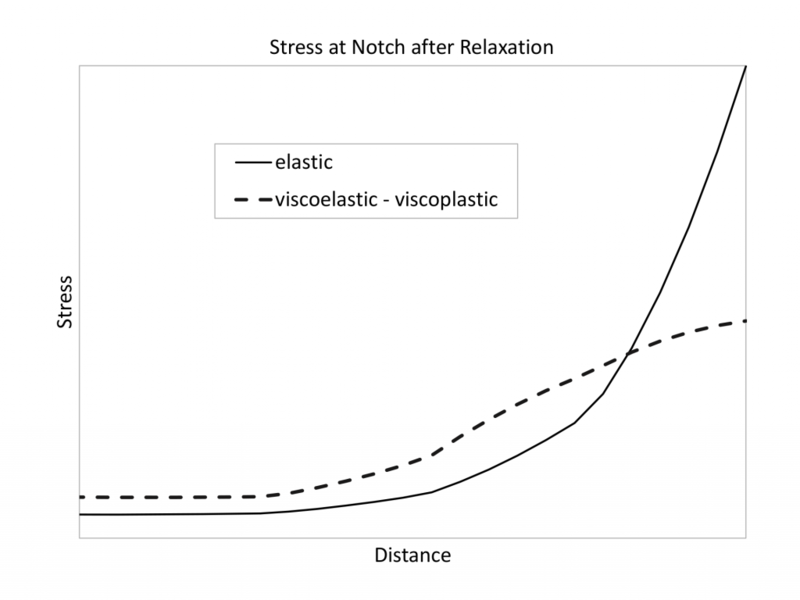 In order to take stress redistribution at the imperfection into account, we used a viscoelastic-viscoplastic material model, which was calibrated from material tests performed in-house by us. 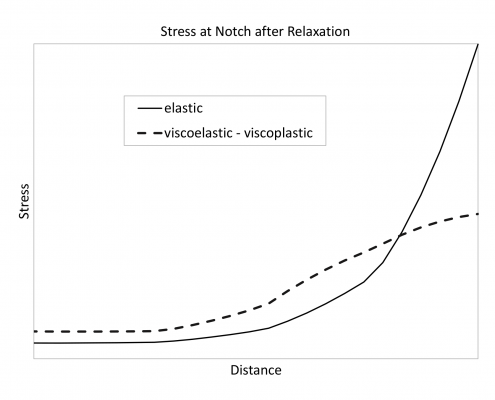 We compared results using the viscoelastic-viscoplastic material model with linear elastic computations. 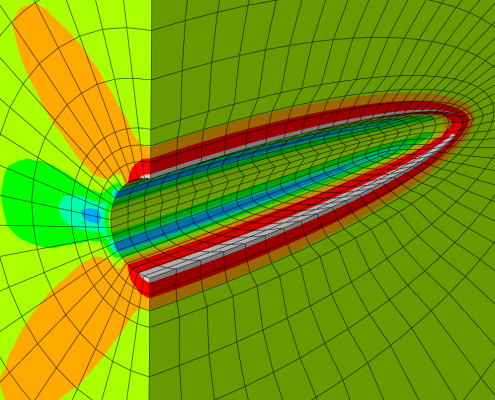 The comparison showed, that an adequate material model is absolutely necessary for a faithful stress analysis at the imperfection. Pipes can be damaged during transport and laying. 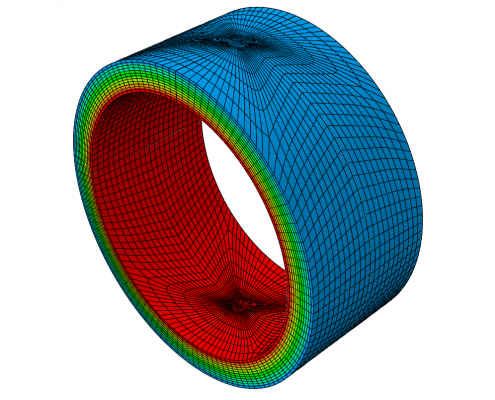 An adequate material model makes the prediction of a pipe’s damage tolerance possible.